We have launched a solution that will ease the strain sport and Golf puts on the body. Everyday life puts a lot of strain on the human both mentally and physically. Because we don’t always eat or exercise correctly, we break down and exhaust our bodies. To an extent where the body recovers slower or not at all. We have formulated a product that not only speeds up recovery, but help repair it naturally. 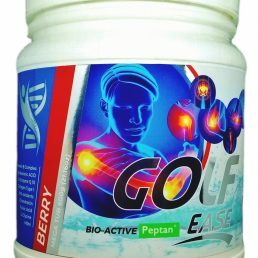 Golf Ease is a Bio Active Sport and Dietary Supplement. It was scientifically engineered for the everyday and Professional Golfer.